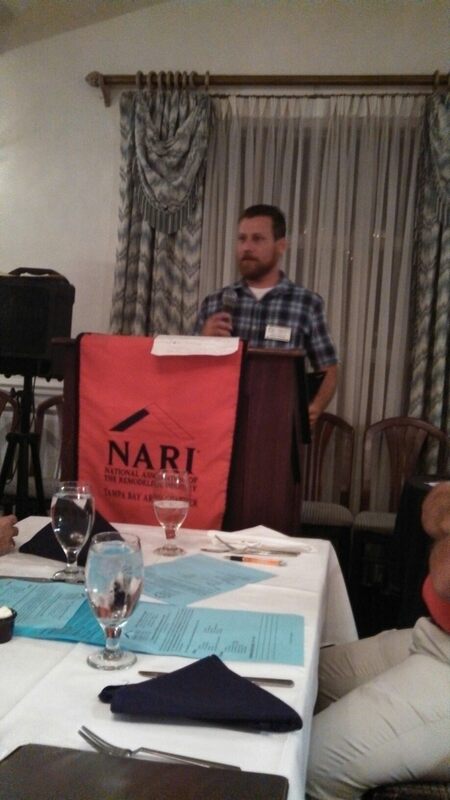 Known as “The Voice of the Remodeling Industry” NARI has more than five decades of trade experience and 68 chapters around the world. Nelson Construction and Renovations was accepted based on professional conduct, continuing education and training, and fair and ethical treatment within the industry. Greg said a few words at the first meeting on October 17th. Many attendees commented on the unique nature of Nelson Construction and Renovations, including its focus on quality, its veteran employees, and its list of specialties, such as custom millwork and concrete countertops. Nelson Construction and Renovations is looking forward to the next phase of expansion as we join forces with NARI.